HÀ NỘI — Lý Hoàng Nam and Trịnh Linh Giang will represent Viet Nam at the Singapore F1 Futures tennis tournament which will start today at the Kallang Tennis Centre. 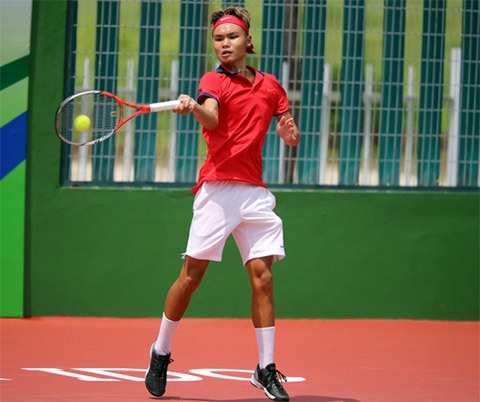 Giang yesterday defeated Matsuzaki Yutaro of Japan 6-4, 6-0 and Susanto Anthony of Indonesia 6-4, 6-3 in the qualification round to win his berth in the main round where he will meet Ken Ônda of Japan who is also a qualifier. His teammate Nguyễn Hoàng Thiên lost 3-6, 4-6 to M Rifqi Fitriadi of Indonesia and failed to advance. Nam is the only Vietnamese left from the main round. The No 6 player will play No 7 Siddharth Rawat from India.